David Jonathan Knox (b. 1988) is an artist who is also a model, dancer, and actor. He holds a Master of Fine Arts Degree from The Ohio State University where he received a Graduate Teaching Associateship and taught Beginning Drawing and Life Drawing. He exhibited work at the Wexner Center for the Arts in the 18th Annual Ohio Shorts Film Festival and The Ohio State University Urban Arts Space, where he received the Gilmore Art Scholarship for his thesis show. He holds a Bachelor of Fine Arts Degree from the University of Nebraska - Lincoln. During this time, he exhibited numerous works of art at the Eisentrager-Howard Gallery. He also traveled to Florence, Italy for a printmaking residency at the Santa Reparata International School of Art and exhibited at their contemporary art gallery. 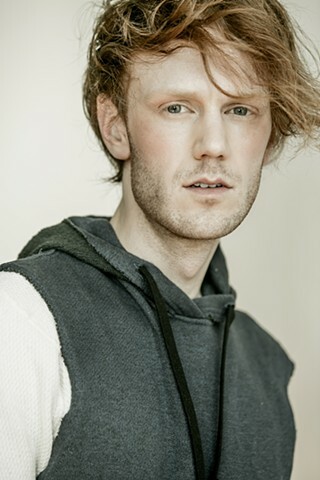 David is currently represented as a model and actor at Hoffman International Model and Talent Agency, where he teaches Photo-Movement, Improvisation, and Beginning Acting courses. He performed in Pardon The Interruption by Jill Guyton Nee, Cornering a Hare by Paige Phillips, and Walking Mirrors by Josiah McElheny. He acted in national and international commercials for Capitol Federal Savings Bank, Wendy's, and QuickTrip.